Jose Mourinho has confirmed Manchester United midfielder Paul Pogba will miss Sunday’s Premier League game against Everton with the hamstring injury he sustained in midweek. The France international was named as captain for the UEFA Champions League match against FC Basel, but was substituted in the first half with a muscular problem. He was replaced by Marouane Fellaini and the Belgian showed his worth, scoring the opening goal and assisting Marcus Rashford later on. Speaking to MUTV during an interview at the Aon Training Complex, Jose began by providing an update on Pogba's fitness. “He is injured and he cannot play on Sunday,” the manager told us. The boss revealed he does not yet know how long Pogba will be out for and later added: "We know that, for a few matches, I don't know how many, but I expect we are to play without Pogba for a few matches." However, Jose he was keen to stress his absence is a fantastic chance for the rest of the squad to impress. 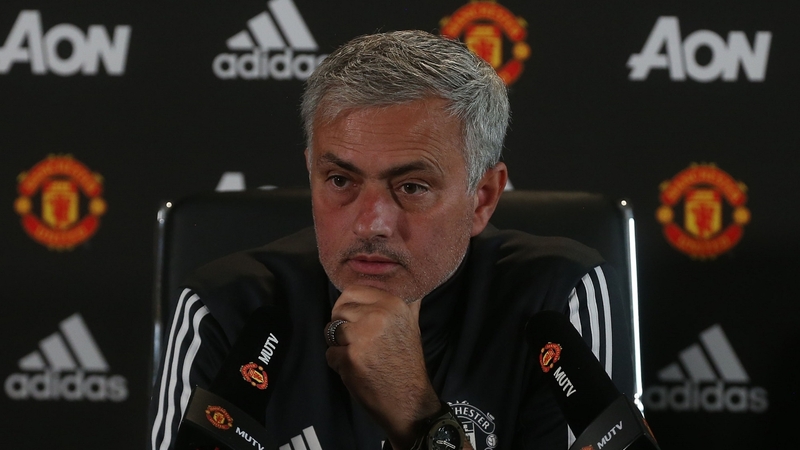 Mourinho also provided an update on the fitness of Luke Shaw, who is yet to play for the senior side this season but has been training hard in recent weeks. "He is not injured anymore so it is a question of form and it is a question of options. But he is not injured, he is recovered." On the subject of Marcos Rojo, another long-term absentee, the boss said: "He is still in the timings of such an important injury. Everything went really well, but he's not even training with the group in normal sessions, he's just doing parts of it. So Marcos still has in front of him, probably, a couple of months."